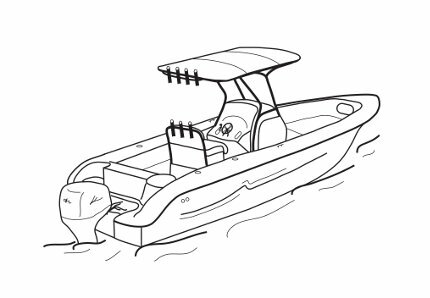 Westland Industries has strategically created a two-piece cover that will attach under your T Top and zipper together at mid-console. 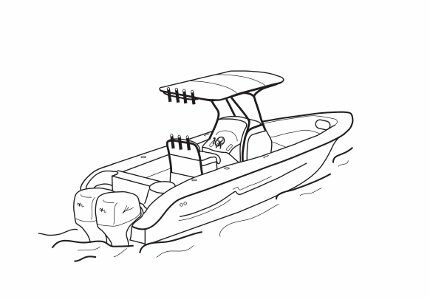 This specialty cover was deigned to quickly cover your boat and provide your boat's equipment protection, while leaving any antennas, rod holders, or radar domes uncovered for simplicity. 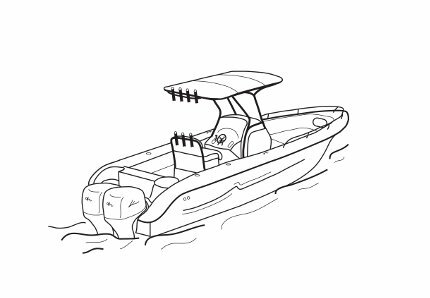 This cover can be used on nearly any center console boat with a Hard Top or T Top and features adjuster straps to tighten around the T Top's frame. 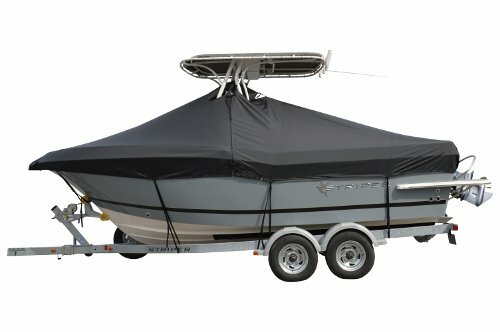 The cover will have tie down loops sewn throughout the hem, allowing you to secure the cover to your trailer for storage purposes (tie down straps sold separately). Westland is well-known for their SharkSkin fabrics, both Plus and Supreme which carry a 5-7 year warranty, respectively. 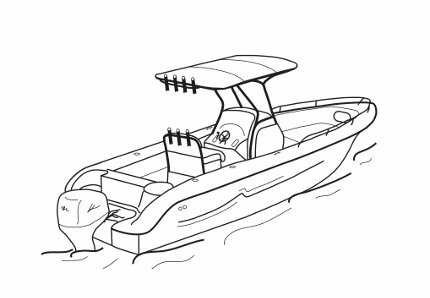 Both materials are made from a light-weight 100% acrylic coated polyester. 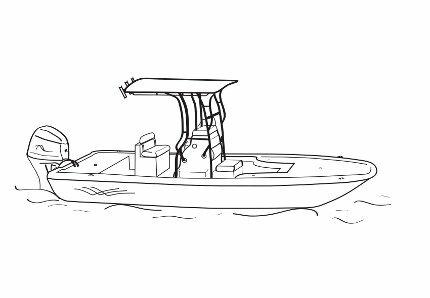 Sharkskin covers are great for water-repellency, due to the acrylic coating, yet breathable to hinder any mold or mildew growth. 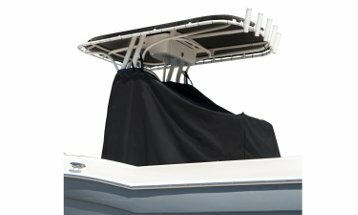 Please feel free to call us with any questions on choosing the correct boat cover for your needs!